After summarizing all my WIPs a couple of weeks ago (take a look here) I set myself a new rule: "Finish 3 projects before you can start a new one". It seemed a good idea at the time but I'm really struggling to stick to it already! 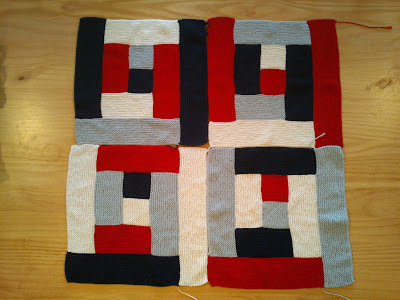 I think my problem was that I eagerly finished off the 3 smallest projects so that I could start a blanket. Now I have to finish 3 much larger projects and I'm itching to get going on something new. The blanket is turning out superbly. It's knit in King Cole Bamboo Cotton which is lovely to knit with but after knitting roughly 1600m of garter stitch I could do with a change. I can almost see the end though, I'm knitting the last section of the last block so, fingers crossed, I should be done by the end of the day. 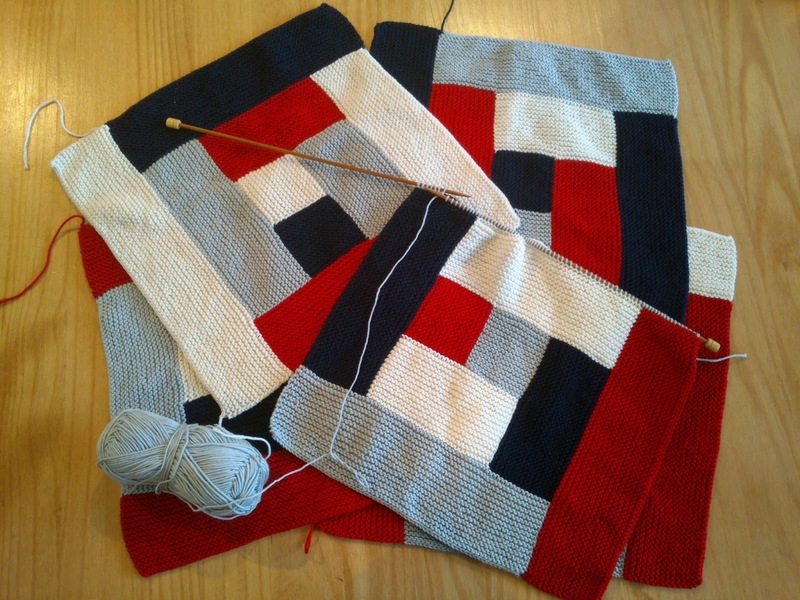 The finished blanket will be 3 x 2 squares which will be about 72 x 108cm. A good size baby blanket, perfect for a pushchair or cot. The garter stitch gives it a squidgy, cuddly feel and it has a fantastic drape. Look out for patterns and kits on the website and in store soon. It is an easy knit with the stitches picked up along each edge so minimal sewing up. I think you're going to love it! I love the design! Also versatile; color blocking is fun! Thanks Stephanie, I really love it. I think I need a break from all the garter stitch but I'm tempted to knit another 6 squares at a later date to make it snuggle-able.